Tarang was founded in 2004, following discussions with Arts Council England. Milapfest identified a major gap in both performance and professional development: audiences were crying out for a fresh, new and innovative Indian Classical Sound, and most importantly, young musicians trained in Indian music did not have the platform to advance their professional skills. Tarang was born with a hand picked ensemble of young musicians forming a pilot project in 2004/5. With Milapfest’s links to in the arts sector, Tarang debuted at the Leicester International Music Festival in June 2004, and went on to perform at The Lowry, Salford Quays, The Bhavan Centre in London in its first season. Performance bookings followed fast, with some high profile opening season performances at The Sage Gateshead for WOMEX 2005 and in Liverpool too, under the artistic direction of Dharambir Singh. In 2006 Tarang’s first national auditions recruited a team of musicians from the North and South Indian music traditions, and the ensemble began to build its repertoire, working in tandem with Samyo at annual Summer Retreats. The list of compositions grew, and world-renowned musicians taught and created music for the ensemble, including Pt Debashish Bhattacharya, Ganesh & Kumaresh, Pt Ajoy Chakraborty and others. 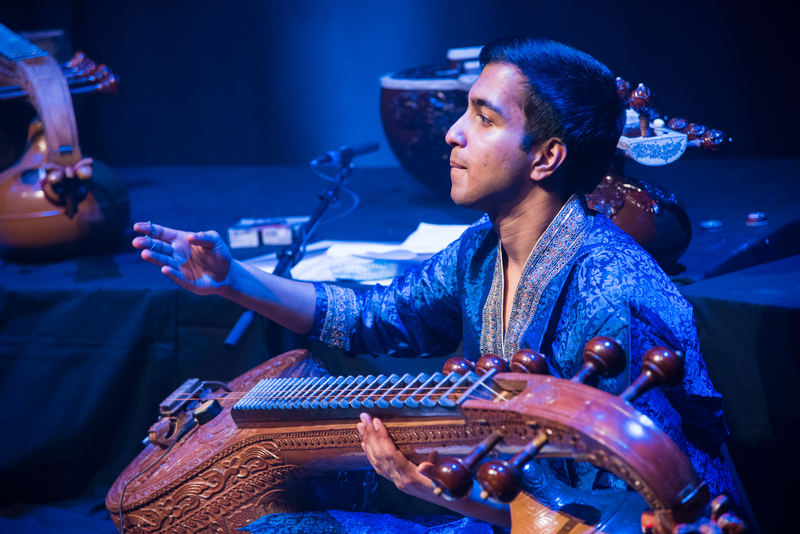 With leadership from eminent musicologist Manorama Prasad, and compositions from the likes of Dr Rajeeb Chakraborty, Tarang grew into an in-demand ensemble, and began a series of annual showcases at The Purcell Room in London. The first ever CD production of the ensemble was released in 2009, and the first themed tour, “Four Seasons” by Dr Rajeeb Chakraborty, followed soon after. Now, Tarang has a regular ensemble of musicians, aspiring maestros in the making, who perform outstanding, innovative music in a new contemporary classical form.